This beautiful Kiddush cup will enhance your Kiddush ceremony and Shabbat table. 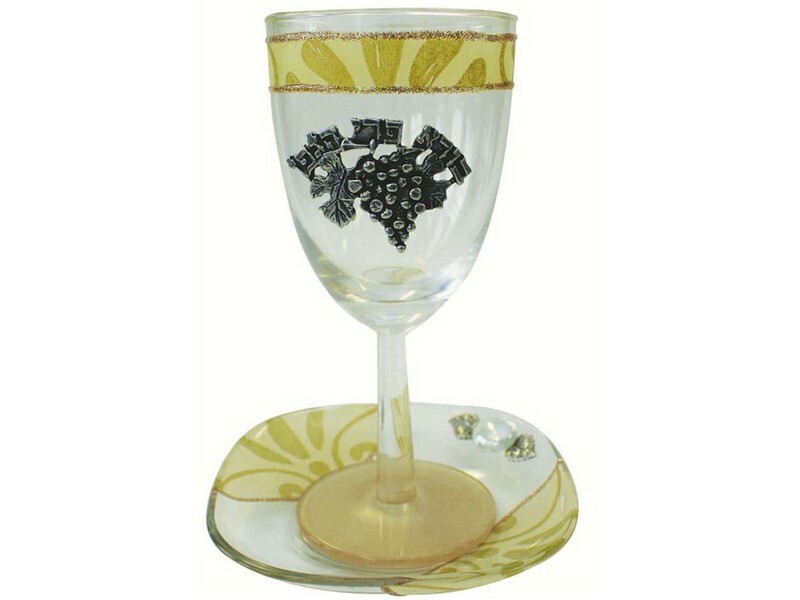 This glass goblet is decorated with pearl and gold colored applique. The base of the Kiddush goblet is gold colored and a plaque with grapes and the words “Borei Pri Hagafen” embellish the cup. Glass Kiddush goblet comes complete with a coordinating glass plate.